That's not the two-syllable English word "agape," meaning a facial expression with circular eyes and mouth. It's a transliteration of this Greek word. It means love; but Greek has several words for love, each describing a very different thing. Rather than explaining what this word for love signifies, I will let the hymn speak for itself. It is based on 1 Corinthians 13, a chapter often misapplied in the context of a marriage ceremony; it also traditionally serves as the Epistle for Quinquagesima, the Sunday before Ash Wednesday. I'm thinking of setting it to Martin Luther's underplayed 1523 tune EIN NEUES LIED. Dwell in us! Form in us such love! And likewise practice here below! When dawns our resurrection day. Apart from love, no profit see. Lord, cause Your gift in us to grow! Till we in truth Your love reflect! 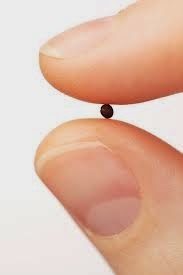 Before Your wisdom's piercing ray. Our blest communion shall perfect! Quasimodogeniti, which gave its name to the hunchbacked hero of Dumas' Notre-Dame de Paris, is the mass for the First Sunday after Easter, also known as the Second Sunday of Easter, depending on which liturgical calendar you follow. The name comes from the antiphon of the Latin introit of the day, which begins with a portion of 1 Peter 2:2, "As newborn babes, desire the pure milk of the word." The antiphon continues with Psalm 81:8, and the introit may continue with other verses from Psalm 81. 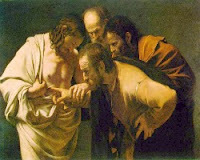 The Epistle for Quasimodogeniti is 1 John 5:4-10 and the Gospel is John 20:19-31. I believe the tune JUDICA, which I wrote for my "Judica Hymn," will do for this one as well. He would delight with honey sweet. Leave wholesome nourishment to waste. Would thirst and hunger for His word! And willed to bless them with His truth. All who would live must like them be. Must also nourish all our need. O taste and see that God is good! "Open your mouth that I may fill!" And be not doubting, but believe! Thomas Hardy was a master of crafting tragedies that deliver powerful feelings of gloom, doom, despair and thoughts of self-harm, wrapped in haunting language and sun-dappled, open-aired imagery. So just imagine what he's like when he switches register from tragedy to romantic comedy. Now that haunting language and open-aired imagery are turned to the purpose of a light, humorous tale of love in the semi-fictitious Wessex countryside. It oozes charm; it makes you laugh and chuckle archly; and without any noticeable shift in tone, it leaves you feeling disgusted and miserable. Truly, it is a performance worthy of the name of Hardy. I inflicted this delicious misfortune on my soul by listening to an audio-book read by Robert Whitfield that the Morgan County Public Library bought on my suggestion. I hope many others will pick up the positive aspects of what I say about it and listen to it too, and make the purchase worth the library's while, so that the library will continue to listen to my suggestions. It has many things going for it. Set near the coast of the English Channel during the part of the Napoleonic wars when French troops were expected to land on British soil any foggy evening, it exploits the interesting possibilities of that tense time, as well as the earthy charm of a village flour-mill where a lovely but independent-spirited young woman named Anne Garland is torn between the attractions of three suitors. They include a pair of brothers, one a soldier and the other a sailor, who are below her in class but ahead of her in fortune; the third is a boorish young gentleman of Anne's social station, and an impressive physical specimen, of a character so repulsive that it varies moment to moment between the ridiculous and the terrifying. Throw in another woman, and a fallen one to boot, and you have the setup for a most engaging farce in the form of a love-pentagon. But this being the work not of Jane Austen but of Thomas Hardy, the final outcome is that nobody lives happily ever after, and the one person who almost deserves to do so doesn't live at all. 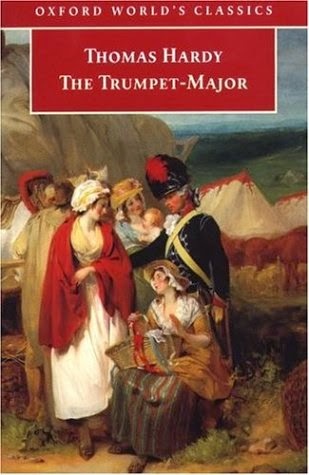 Written in 1880 but set in the handful of years around 1805, The Trumpet Major was Hardy's only historical novel. As I listened to it, the thought occurred to me that parts of it would lend themselves well to an opera. I found afterward, when checking my spelling of the characters' names on Wikipedia, that there actually is an opera based on it. For a while there seems to be nothing but fun in the heroine's efforts to elude the grasp of the blowhard Festus Derriman, who embodies all the worst aspects of manhood and yet is sometimes pathetic and even silly in his villainy. But setting Festus aside - for, in the last analysis, he serves mainly as a plot device - the real tension in this book lies between Anne and the two Loveday brothers. John, the elder, is a trumpet major in the king's dragoons who looks fine astride a horse and sounds a beautiful signal on his horn, but somehow he never seems to find it in himself to blow a clear signal at Anne. Knowing she is sweet on his younger brother Bob, the sailor, he is continually stepping back from the point of winning her hand to make way for that fickle, faithless blockhead. And I mean continually. If there's one immutable fact in the world of Thomas Hardy's Wessex, it's that people do not change. Forever Bob is disappearing off to sea, leaving Anne crushed yet devotedly waiting for his return, and when he does return it's to announce that he has gotten engaged to the first hussy he met on dry land. Then somehow or other that falls through and Bob comes crawling back to Anne, just when she has almost gotten over him and is ready to accept John's suit - and, worse, John gives her up out of a strange sort of honor in favor of his brother's prior claim. By the end of this book I wanted to shake each of the principals firmly, and not by the hand. It looked for a while like it was going to turn out well, but life isn't like that either in the real world or in Wessex, and the pretty soft-focus Hallmark Hall of Fame picture ended in a flat out picture of nihilistic desolation. John's sacrifice isn't as ennobling as Sydney Carton's in that Dickens Tale, nor does Anne's disappointment break one's heart like that of Sir Harry Hotpsur's daughter in the book by Trollope, nor is there ever any reason to believe Bob will mend his ways. John simply gives up like the epitome of British male inadequacy that he is and leaves his bones rotting on a Spanish battlefield while Anne, the fool, proves to deserve all the unhappiness Bob doubtless has in store for her. And the trick of it is, you enjoy every minute of it including the parts when you want to shake the main characters for their own good, and by the time it ends the only way you know it could end you feel only a sick emptiness inside that you realize must have been there all along, underneath it all. And this is one of Hardy's lighter books. I don't know what it says about me that I still feel drawn to them, one after another. I'd better read The Woodlanders next. This hymn is for the fifth Sunday in Lent, the mass whereof is called Judica after the opening of the Latin introit from Psalm 43:1-2, "Vindicate me, O God, and plead my cause against an ungodly nation; oh, deliver me from the deceitful and unjust man! For You are the God of my strength." The Scripture readings for Judica are Hebrews 9:11-15 and John 8:46-59. Like most of my hymns, I wrote this with no particular tune in mind. Through God's eternal Spirit sent. 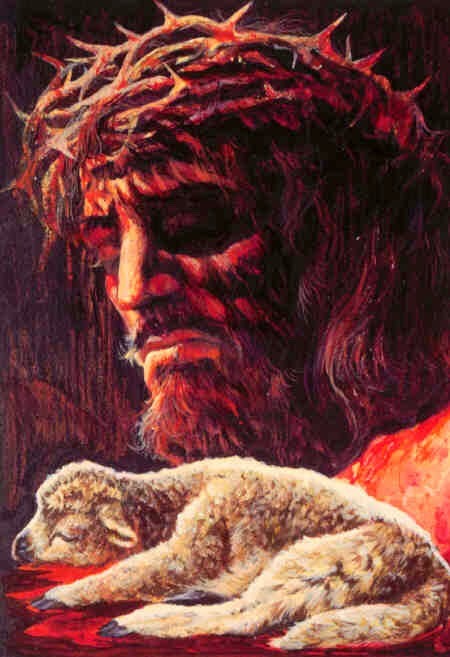 He gave for all as testament. Made sacrifice for certain crimes. A conscience cleansed by grace divine. 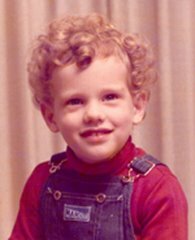 Accuse God's very Son of sin? He who would live must take it in. To plead our cause, to plead and win. Apply Your righteousness to man! EDIT: Here's an original tune for this hymn, titled JUDICA. I am grateful to the Morgan County Library of Versailles, Mo. for acquiring, at my request, the Naxos audiobook of this novel narrated by Sean Barrett. The six-CD set enabled me to complete my tour of all Charles Dickens' completed novels in less than a week's worth of commuting. 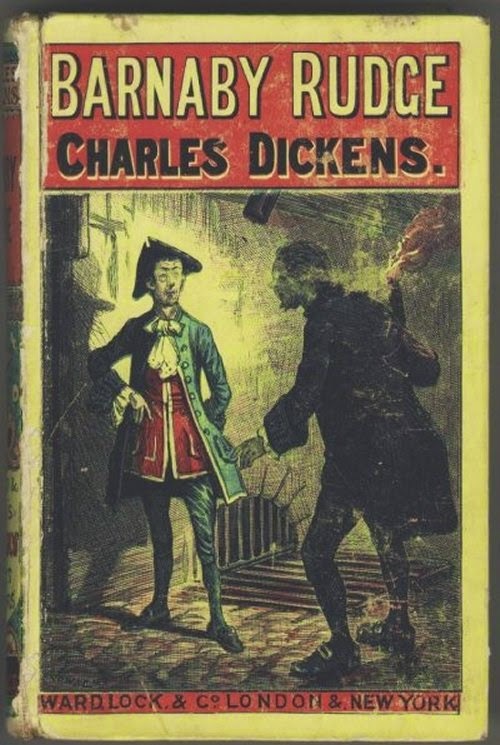 Dickens' fifth novel in order of publication, it was meant to have been published earlier, but due to disagreements with his publisher it only appeared in 1841, as a serial in weekly numbers of the author's own journal, Master Humphrey's Clock. Like the other works in what I like to call Dickens' "weekly register," it has the charm of being relatively short, direct and concise. The characters and plot lines are few and tightly intertwined, and it never gives the reader the sense his monthly novels often give of leading them down tedious side-routes and up inconsequential cul-de-sacs. It is one of only two historical novels Dickens wrote, like A Tale of Two Cities set in the revolutionary period of the late 1700s. And it is perhaps the last representative of its author's immature period, with some of the same weaknesses that marred (sorry) Oliver Twist and The Old Curiosity Shop, which are about tied for my least favorite novel by Dickens. So while I personally would rank this book higher than both and perhaps even The Pickwick Papers, I can also understand why this may be Dickens' least popular novel, the least often adapted for stage and film, the least influential on our culture. Subtitled "A Tale of the Riots of Eighty," it is primarily set amid and around the Gordon Riots of 1780 in which a certain Sir George Gordon led an anti-Catholic uprising that threatened Parliament, burned several churches, and ended with soldiers firing guns into a crowd. Several people were hanged or imprisoned in the aftermath, and the authorities were deeply embarrassed, and Dickens took his opportunity as a master of satirical wit to spatter his nation's history of sectarian strife with shame and ridicule. This is a good thing. Another good thing is its positive depiction of a mentally challenged character. And the fact that the title character's familiar, a talking raven named Grip, inspired Edgar Allan Poe's famous poem "The Raven" proves this book was not without some influence. But everything else about it is entirely conventional and, to be brutally frank, forgettable. Dickens almost entirely wasted the opportunity to make Grip an ominous figure, a figure of omen. The bird says, "I'm a devil," but it isn't one. Dickens cheated idiot-hero Barnaby out of the chance to be a more complex and dynamic character, or to suffer a movingly tragic fate like that of Sydney Carton in A Tale of Two Cities. And Dickens couldn't resist using such a serious historical subject as a backdrop for not one but two chaste romances that come across as all the more trivial because the male heroes scarcely appear between the opening act and the close. They simply, suddenly appear at the moment of greatest crisis for the young heroines, and the resolution of their love stories is so perfunctory that it is hard to care about them any more than Dickens seems to have done. What this book is, at its most interesting, is a depiction through the eyes of fictional (or at least fictionalized) persons of a scene of historical interest, and a character study of three men under the suspense of awaiting their execution. The suspense pays off nicely, and Barnaby manages to get in at least one line that I think is worth adding to everyone's quiver of literary quotes ("Hugh, we shall know what makes the stars shine, now!") If you hear it performed by a good reader, as I did, you may hear passages that make you laugh and even a few that give you a lump in your throat. But mostly, I felt grateful that the last Dickens novel I had yet to read was short and quickly gotten through. A Tale of Two Cities, which left me awestruck and emotionally devastated, was still 18 years in the future when this book came out. Believe me, I appreciate the difference 18 years can make. My Dad suggested this topic for a hymn, saying that he has felt a lack of prayers in this area. I suggest that it be sung to the tune MEIN SCHÖPFER, STEH MIR BEI by F. H. Meyer, 1740. Among the Bible references worked into this hymn is Jesus' response to the apostles' prayer in Luke 17:5, "Increase our faith!" Of faith would see us through the strife. So be it, Lord of life! We trust Your mighty acts. Nor quench a smoking flax! To bear life's toil and pressure. Let us again be nerved! Our Fortress and our Shield. To watch a little longer! Through You we more than conquer. O Lord, increase our faith! Oculi is the third Sunday in Lent, coming this weekend to a Lutheran church near you. It gets its name from the Latin introit for the day from Psalm 25:15, "My eyes are ever toward the Lord." In writing a hymn for this Sunday's traditional Scripture readings, I continue to fill in the gaps in my church-year hymns. I have already written a hymn for Lenten Sundays one (Invocavit), two (Reminiscere), four (Laetare) and six (Palm Sunday). The readings for Oculi are Ephesians 5:1-9 and Luke 11:14-28. At the moment I have no particular tune in mind for this hymn. When in distress I cry? The Christ, my trusty Lord! But by the finger of the Lord? His arms and plunder spoil? What can make Him unclean? God's Word and hold it dear. Toward God a fragrant fume. The Christ, our trusty Lord! UPDATE: Here's an original tune to go with this hymn. Title: OCULI.